The Big Ten and Pac-12 will highlight action Sunday in college basketball. The month of March begins today and that means the NCAA tournament and March Madness cannot be far away. Nevertheless, teams are battling for position in their respective conferences preparing for the start of their conference tournament in less than 2 weeks. Out west, the Oregon Ducks visit the Stanford Cardinal, while the Purdue Boilermakers visit the Ohio State Buckeyes. Oregon followed its huge upset of Utah 69-58 last Sunday as a home dog by 4.5 points, with an important 80-69 win over California as a road dog of 2 points this past Wednesday. The Ducks are 7-1 straight up and 6-2 against the spread in their past eight games overall. Stanford routed Oregon State by 27 points on Thursday as a home favorite of 9 points. However, the Cardinal is only 3-4 SU and 2-5 ATS in its past 7 games played. 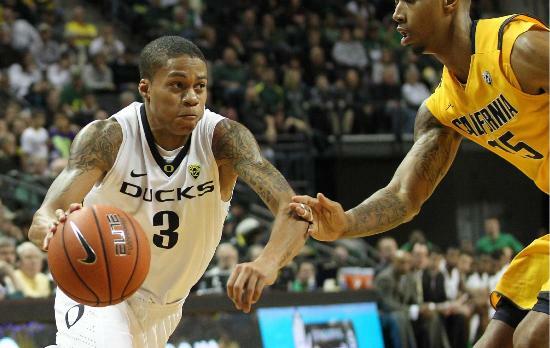 Oregon is 4-1 ATS over its past five games after a win SU. The Ducks have covered 6 of their past 8 games on Sunday. Sanford is 1-5 ATS in its past 6 games played on Sunday. The Cardinal is 6-3-1 ATS in its past 10 games played at home. The visiting team is 5-3 SU and ATS in this matchup over the past 8 games. Purdue visits Ohio State on Sunday as an underdog of 9.5 points. The Boilermakers have made some noise of late at 8-1 SU and ATS in its past 9 games overall. 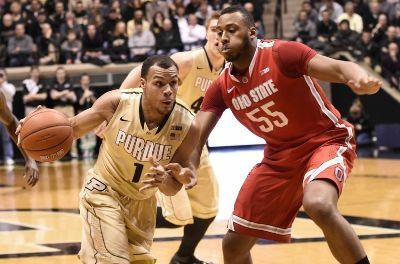 On Thursday, the Boilermakers defeated Rutgers 92-85, but failed to cover as a home favorite of 14 points. All five Purdue starters scored 10 points or more in the win over Rutgers. Ohio State has had a few problems down the stretch with a 3-3 SU and ATS record of its past 6 games played. However, they look strong in a rout of Nebraska 81-57 on Tuesday as a favorite at home by 13.5 points. Purdue is 17-5 ATS over its past 22 games versus an opponent with a winning straight up record and is 6-1 ATS over its past 7 games following a win SU. Ohio State has covered the spread in its past 6 games played at home but is 4-9 ATS over its past 13 games after a win ATS. Head to head, the team at home is 7-2 SU over the past 9 games played. Ohio State is 4-2 ATS over the past 6 games between the two teams. Purdue defeated Ohio State 60-58 SU and ATS as a favorite by 1.5 points.